As we do every changing season, in collaboration with the Red Global MX-NY, NJ & CT Chapter and APEM NY, we hosted our traditional networking event for all the young professionals in the City. 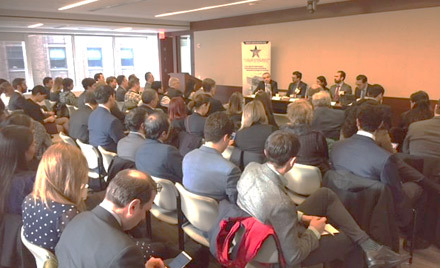 This time the event took place at Supernova NYC and had the attendance of 140 people that expanded their business network and met other Mexicans working in the city. For the first time our chapter organized a conference related to the fashion industry consisting on 3 different panels and 12 experts discussing: Issues and trends of operating internationally for fashion brands; Opportunities in the U.S. market for Mexican brands, designers and entrepreneurs; and Mexico’s competitive advantages as manufacturing platform for the fashion industry. 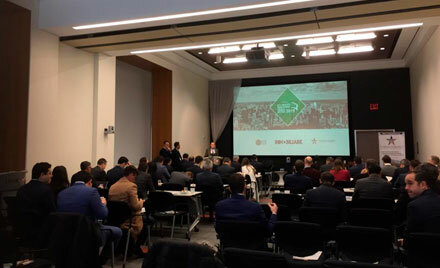 The conference was attended by 60 guests: manufacturers, designers, brand representatives, academics, lawyers, and investors that had an opportunity to share experiences and network with colleagues from the same industry. 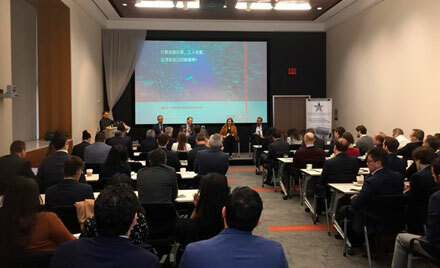 The Northeast Chapter of the U.S.-Mexico Chamber of Commerce organized its annual conference to discuss and analyze Mexico’s economic and political outlook for this year. Our panel of experts focused on the implications in the Mexican economy based on the New Administration’s policies and infrastructure plans. 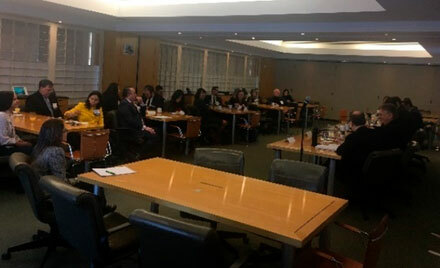 The conference was attended by 60 guests and our Corporate Member J.P. Morgan hosted us at their offices in Midtown Manhattan. Our chapter organized a private roundtable with Congresswoman Tatiana Clouthier, former campaign manager for President Andres Lopez Obrador. Ms. Clouthier discussed her views on the goals, policies and economic transformation proposed by the New Administration, as well as her leadership role in Congress. The event was hosted by our Member Duane Morris in their Manhattan offices and was attended by 25 Members of the Chamber. 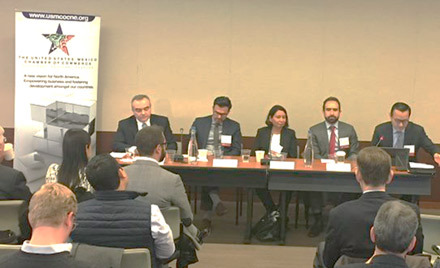 Our Member Willkie Farr & Gallagher hosted a panel discussion with lawyers from the private and public sectors from both Mexico and the USA. They shared their opinion on the challenges that Mexico has to be able to implement and comply with the new anti-corruption guidelines that President Lopez Obrador is establishing, and they stressed on the importance of cross-border cooperation between countries. We received 40 guests from different industries that currently do business with Mexico or that are considering expanding to Mexico. 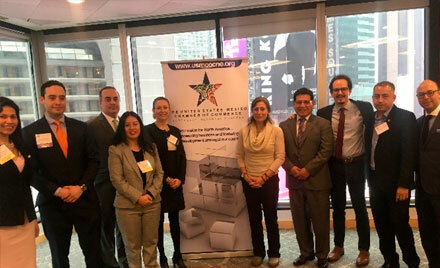 For the sixth year we had our U.S. – Mexico Real Estate Investment summit in NYC with Inmobiliare Magazine at the Manhattan offices of our Member HSBC and we had an attendance of 100 people from Mexico and NYC area, and more than 20 speakers, including the acting Consul General of Mexico in New York. The event consisted on four panels and an interview with Andre El-Mann, CEO & Director of FIBRA UNO, the first and largest REIT in Mexico. Panel 1: Should Mexican real estate asset classes still be in the buy-hold list for international investors and portfolios? Panel 2: Potential effects of the flagship projects of Mexico's new administration on the real estate sector. Panel 3: Smart Cities - Integrating new infrastructure and technologies that transform the real estate market. Panel 4: Mexico's New Trends on Design and Construction: Addressing new lifestyle demands while generating value and profitability. 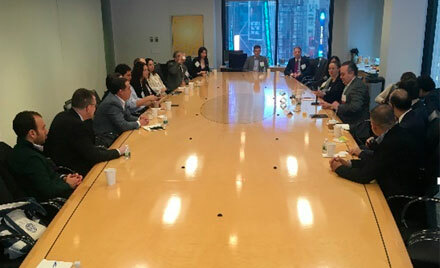 A select group of 30 Members of the Chamber and Mexican business executives from Philadelphia had the honor to meet in a private roundtable with Her Excellency Martha Bárcena Coqui, Ambassador of Mexico to the United States of America. Ambassador Bárcena shared her perspective on the future of investment and business between Mexico and the USA and stated that her priority is the ratification of the USMCA agreement. 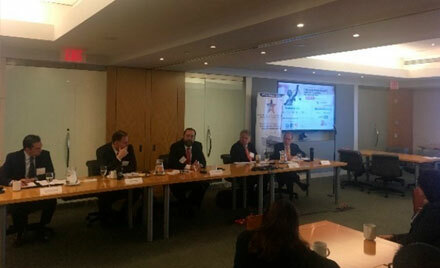 The event was hosted at the Philadelphia offices of our Bi-National Member Duane Morris LLP. 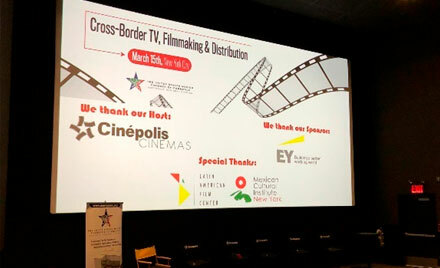 For the first time our Chapter organized an event focused on the filmmaking industry: "A Business Look into the U.S. - Mexico & Latin America Cross-Border TV, Filmmaking and Distribution". 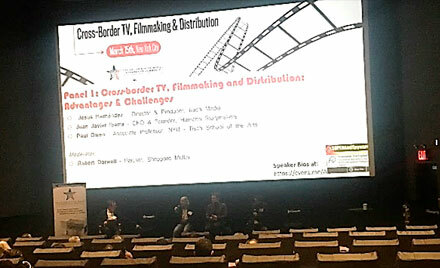 The conference consisted on two panels that focused on the opportunities and challenges for cross-border productions including financing, cultural differences, new trends on distribution, tax incentives for productions in LATAM, among others. Our event was hosted by Cinepolis at their Chelsea location in Manhattan and was attended by 30 industry representatives from the Tri-State area.